Rarely do you find a game app that you fall in love with. Well, that is exactly what happened when I downloaded Lume HD. I was immediately drawn in by the artwork and music. Describing the artwork as unique does not do it justice. The artwork is amazing and beautiful. According to the iTunes description the set was built entirely out of paper and cardboard and then filmed. The music adds to the entertainment as well. It’s subtle, but yet works so well with the rest of the design that you are quickly immersed into the story. 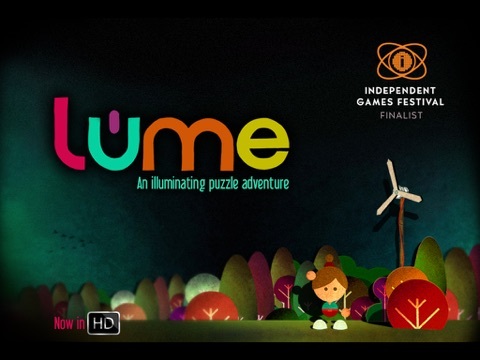 Lume is part one of a larger, on-going story; power to Granddad’s house has failed, he’s nowhere to be found and you must solve the puzzles to help restore power and uncover the rest of the mystery. 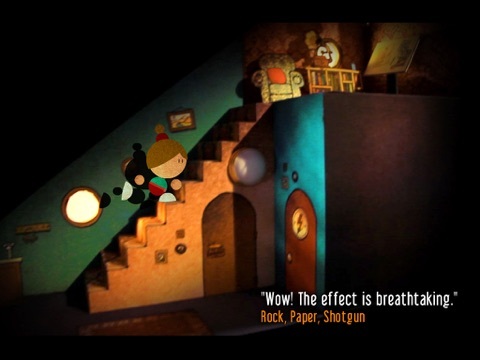 Throughout the game you must solve puzzles to unlock doors or to collect items to be used later. These are not your standard puzzles; they require brain power, and possibly fingers and scrap paper. One example, and this may be one of the easier puzzles, is at the beginning of the game Lumi must read a note from Granddad and figure out the clues in the note to obtain the code for the front door. 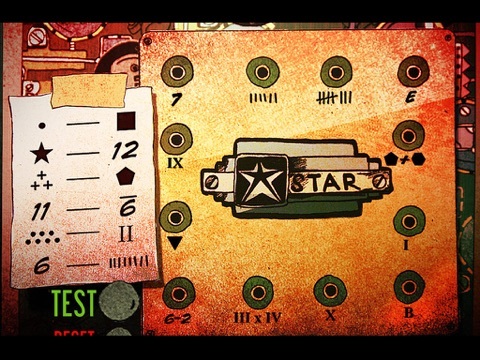 This puzzle will probably have you counting on your fingers as you convert letters to numbers. In other puzzles, you will find clues upstairs and then need to go back downstairs to the lock. I don’t think kids are the intended audience for this game, because the game is challenging; however, we have found it to be a fantastic “family” game; like a jigsaw puzzle that everyone adds a piece, or two, to as they walk by. We find ourselves working through the puzzles together little by little. The kids do not want us working on the puzzles without them. State of Play Games did a fantastic job with this game! I look forward to the next part of the story; once we complete this one, of course. An iPhone version is available in iTunes. 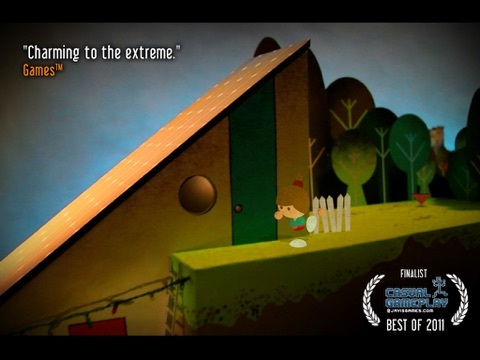 Lume HD is a beautiful and challenging game unlike others you may have played. 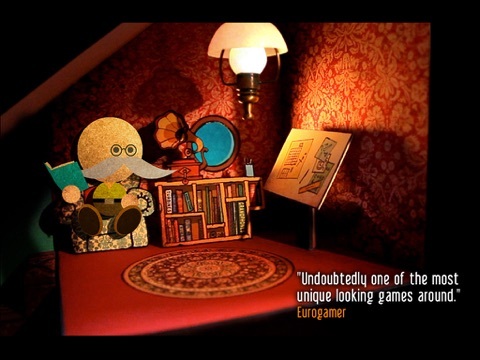 The hit Indie game is now available for iPad in glorious HD, remastered with higher detail, more sounds and an improved interface for touch devices.